Mayberry by Tweed is a hybrid, 10% Indica & 90% Sativa, strain. 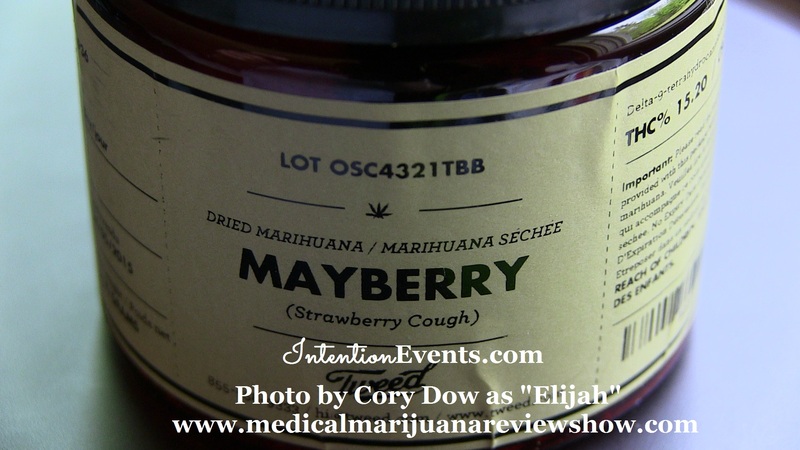 Mayberry comes from the licensed producer Tweed. Most batches are 12% – 17% THC and 0% – 5% CBD. The batch Elijah reviews below is at 15.2% THC and 0.05% CBD. 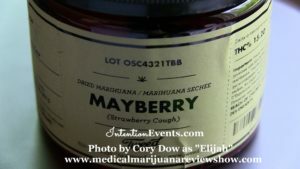 Patients have said that the use of Mayberry has helped with their anxiety and depression. It is typically prescribed for pain, depression, inflammation, stress, muscle spasms, headaches, fatigue and a number of others. We would LOVE to hear about your experiences with Mayberry and what conditions it has helped you with! Have a question before ordering? Elijah would be honored to answer you from his own personal experiences! Feel free to comment below. We want to hear from you! “Where do I start? This strain has a lovely fruity nose! After you’ve burned some off, Mayberry By Tweed your house will reek! All of your friends will be jealous of your incredibly delicious smelling living environment. This strain of harvest from the good kind folks at Tweed is nothing short of a show stopper. My buds came loose and supple with soft thin stems. What an experience! Once you go to Strawberry Cough for pain relief or anxiety you’ll notice prompt, substantial waves of release. Bye -bye back pain. I’d also like to share the euphoria was pleasing and longer lasting than some of the lower priced strains. No couch slumming haze. Just mounds of inspiration and symptomatic relief. I ordered easily through the phone the rep was great. Little hold time and maximum assistance. I love Tweed for this reason. I would order this again in a heartbeat! In fact, I already did.